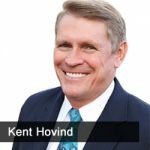 Jason Hartman talks with Dr. Dino, Kent Hovind, who was arrested and sentenced to prison for what he believes was teaching creationism. Kent is a “young earther” who teaches the earth only being around 6,000 years old. While he was beign arrested he heard the police referring to one of his DVDs. Afterward his charges were for “structuring” which is normally used to catch drug dealers. Listen in as Jason and Kent discuss Kent’s case, as well as how the government continues to overstep their bounds.